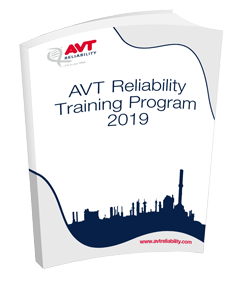 Candidates will gain a good knowledge of maintenance strategies and techniques to improve reliability and availability including conducting an effective 'Failure Mode Effect Analysis' and 'Root Cause Failure Analysis'. The course also teaches a basic understanding of a system’s life-cycle and understand the financial implications involved with assessing. A two day practical introduction and understanding into turbomachinery rotor dynamics, this introduction will allow clients rotating equipment engineers, technicians to fully understand rotor dynamic reports and key behaviour activity in turbomachinery to aid in longer term understanding of critical equipment reliability on the plant. The class will learn about normal and troubleshooting rotor behaviour and which information is key to understand common failure modes, the class will focus on real time hands on application using our rotor dynamics kit which will be used throughout. This course provides a detailed introduction into the subject of pipework vibration. Raising the competence and confidence of existing staff to be able to perform their own basic visual inspection and basic pipework vibration surveys and assessments. The course also covers methods for the theoretical assessment of likelihood of failure. A 2 day course which can be delivered at a customer site or at one of our training facilities. The RCA facilitator course has been designed with an industrial focus for those who wish to eliminate recurring defects, problems and failures. These may be one-off, large failures that have had a safety or financial impact, or those small failures that re-occur often and have a large cumulative financial impact on the customer’s bottom line.